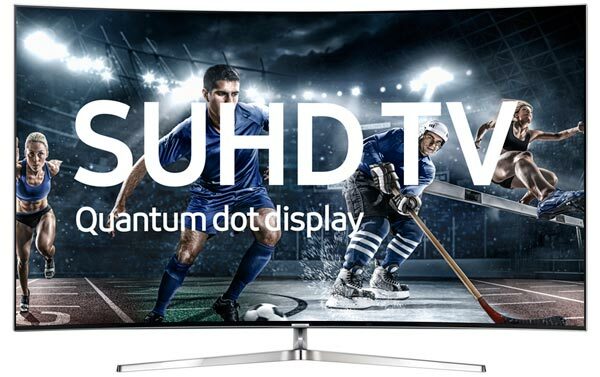 In 2016, Samsung will expand its line-up of "SUHD" models. There are still no OLED TVs but there are fewer curved TVs than last year. All SUHD models are "UHD Premium" certified and the Tizen UI has been revamped. Samsung also wants to control your smart home and says that a new remote can control all the boxes connected to your TV. 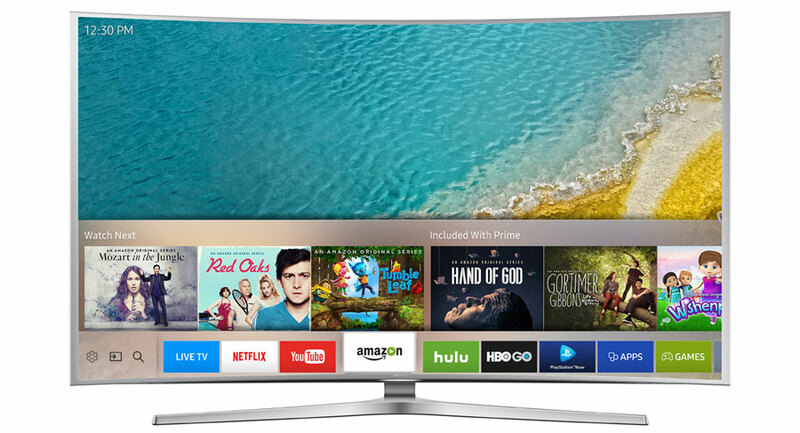 FlatpanelsHD presents Samsung’s 2016 TV line-up. Remember 2012? 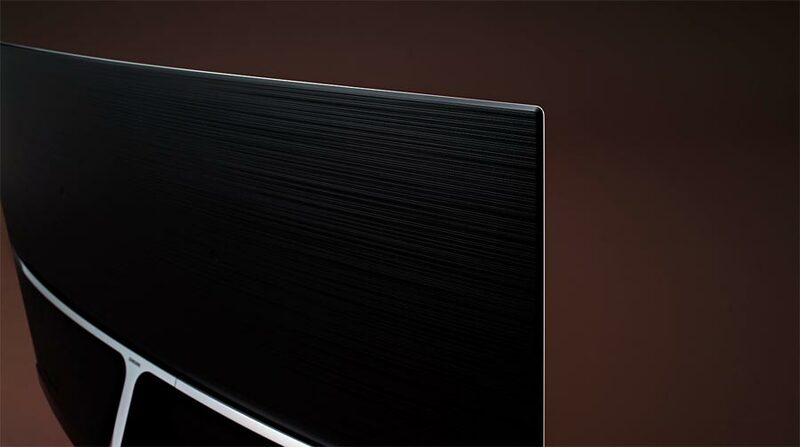 Samsung revealed its first OLED TV to the world. LG did the same. But only one of the two Korean manufacturers was able to mass-produce them. There is no doubt that Samsung wants to return to making OLED TVs - the company has said so itself - but for now the world’s largest TV manufacturer is promoting its souped-up LCDs that it has chosen to brand "SUHD TVs". "SUHD" was first introduced last year. 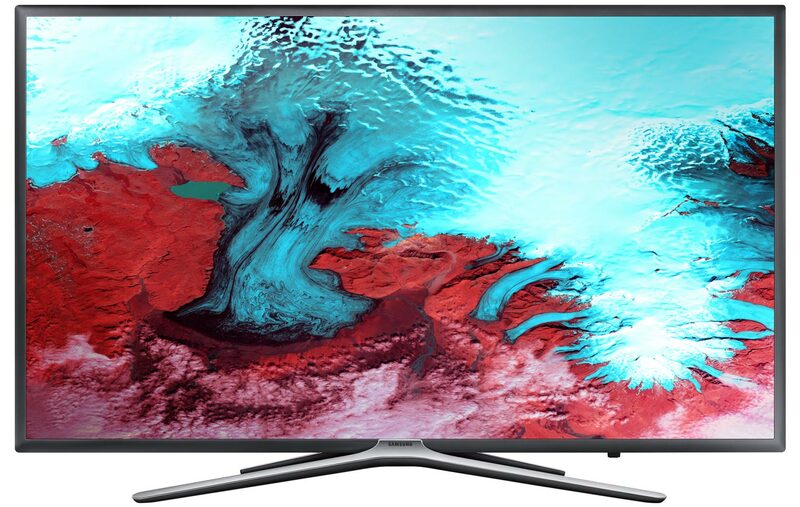 It does not stand for anything particular, says Samsung, but if you were to characterize them it would go something like: LCD + 4K + HDR + quantum dots. Samsung is hoping that its high-end LCDs will make you look their way, and in 2016 it has made several improvements over the 2015 models. 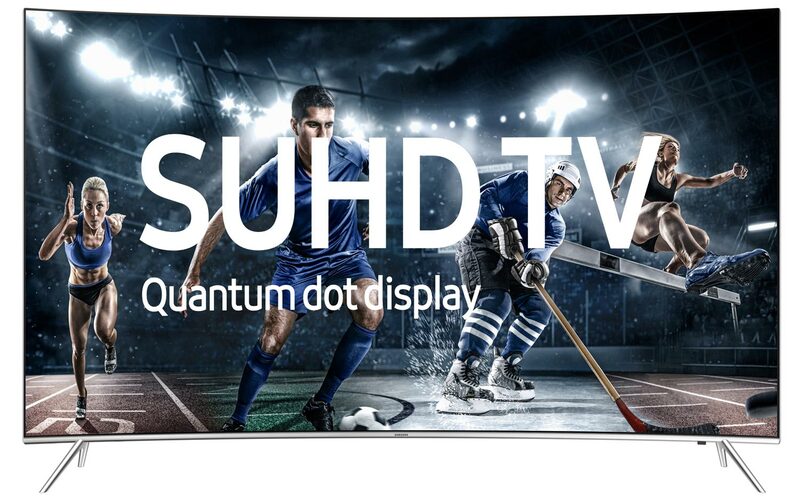 First and foremost the TVs are now "UHD Premium" certified. "UHD Premium" is a certification and logo created by the UHD Alliance. What most people do not know is that while many companies are members of the UHD Alliance, it was mainly Samsung’s idea. Based on our sources Samsung had hoped to create a certification that would disqualify OLED. Those plans were squashed when one particular player joined the group (not LG). 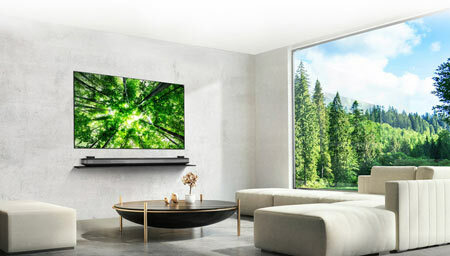 It is not important who but ultimately the alliance created two contrast specifications as part of "UHD Premium"; what many people are referring to as OLED and LCD specifications. That might sound strange since most reviewers agree that OLEDs are superior but Samsung has one weapon in its arsenal; higher peak brightness. That weapon is what Samsung intends to use to its advantage in marketing. 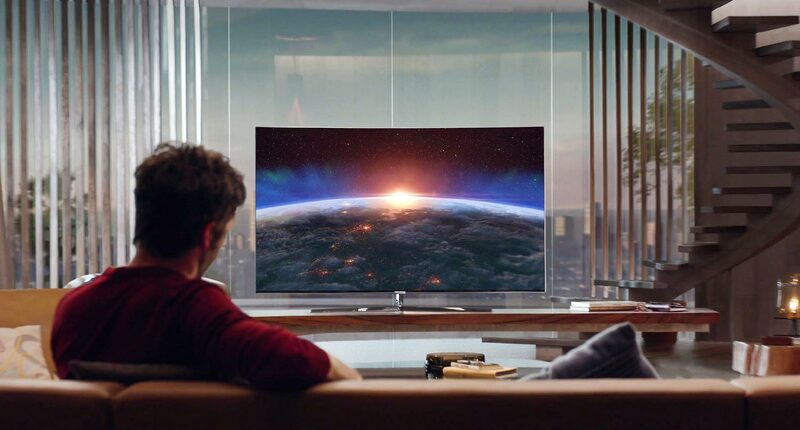 In 2016, all of Samsung’s SUHD TVs will be capable of reaching over 1000 nits peak brightness (with the help of the Peak Illuminator system), making each and every one "UHD Premium" capable, despite the fact that most of them are edge lit. Samsung says that its 2016 SUHD TVs are also capable of reaching a wider color gamut, specifically 96% of DCI-P3 (made possible by quantum dots). Another change from 2015 is that several of the 2016 models will be flat, which will surely please many buyers. Samsung will continue to offer curved TVs and its most expensive models will continue to be curved but the company is clearly scaling back on the curved form factor. Yet another improvement over last year is the use of a “Moth Eye” based anti-reflective filter. Samsung is not the first manufacturer to use it but says that it has developed an in-house solution that will visibly reduce reflections in the glossy panels. Depending on where you live, the flagship TV will be named either KS9800 (USA) or KS9500 (Europe). This is the top-of-the-line TV and the successor to last year’s JS9500. It will employ a full-array local dimming (FALD) system to control light output in zones for optimal HDR (high dynamic range) picture quality. It may prove to be one of the best LCDs of 2016 but the question is for how long high-end LCDs can remain relevant now that OLEDs have arrived? Be aware that Samsung will also sell a KS9500 in the US, which is edge LED. 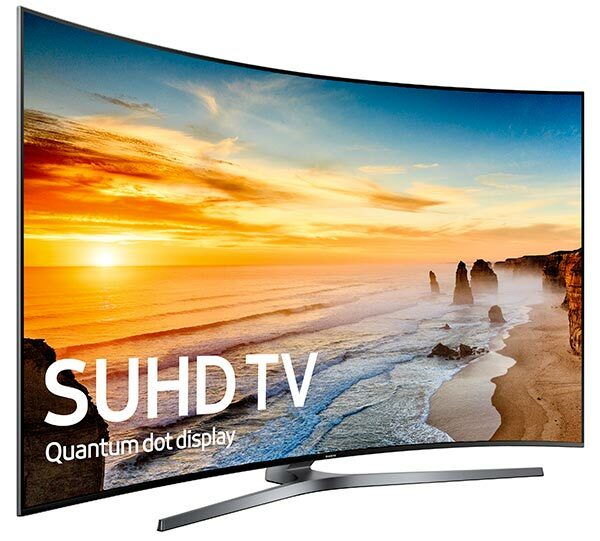 All of Samsung’s SUHD models in 2016, besides the one flagship TV, will in fact be edge LED. 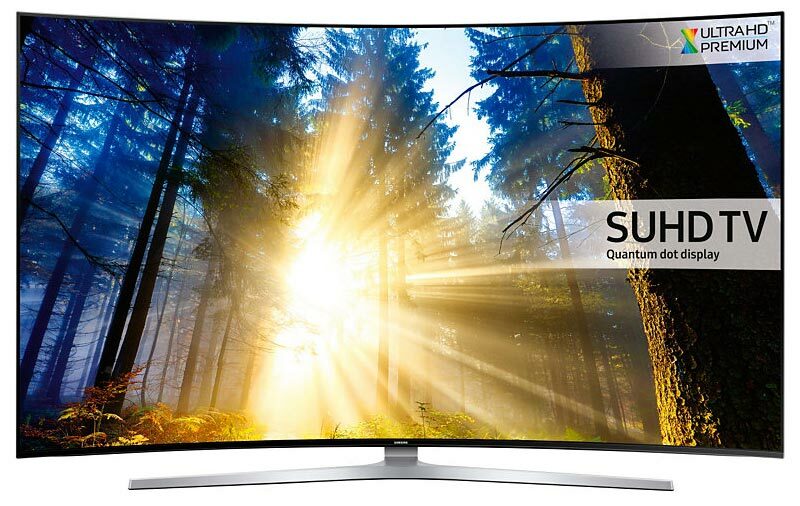 HDR - or high dynamic range - will be a major theme for Samsung in 2016. That is the whole point of the SUHD models. 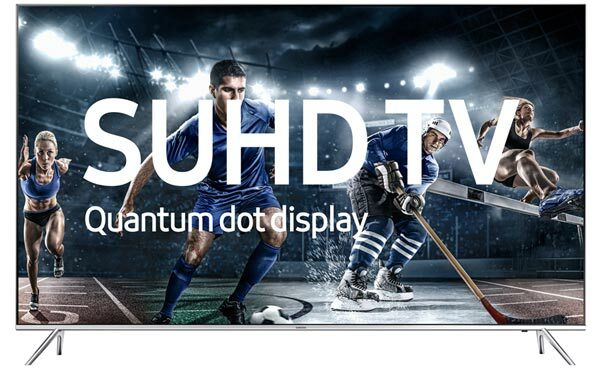 If you are mostly watching sports on TV, broadcast TV channels and HD Blu-ray there is no point in buying one of the SUHD models. You need to feed it with HDR content to make it shine, and Samsung is giving you two choices; UHD Blu-ray or streaming. The company has already released the first UHD Blu-ray player on the market. The UBD-K8500 can handle the new UHD Blu-ray discs, which are generally mastered in both 4K and HDR for the best possible picture experience. The discs offer much higher bitrates than streaming services do, but as you know Blu-ray is mostly about movies. If you want the latest world-class TV series in 4K and HDR quality you wukk have to subscribe to one of the streaming services. Netflix was first to introduce 4K but Amazon has since one-upped Netflix by offering HDR streaming. Netflix will soon hit back with its HDR streaming, staring with Marco Polo and Daredevil. Both companies (1, 2) have also promised to bring Dolby Vision streaming to homes later this year. 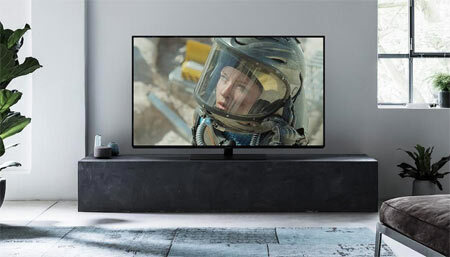 Dolby Vision is a premium HDR specification developed by Dolby. However, none of Samsung’s 2016 TVs will support Dolby Vision, only the open HDR10 standard. There are no Dolby Vision-enabled Blu-ray players (yet) either so despite the lower bitrate, streaming services might win this round. Remember HD-DVD vs. Blu-ray? 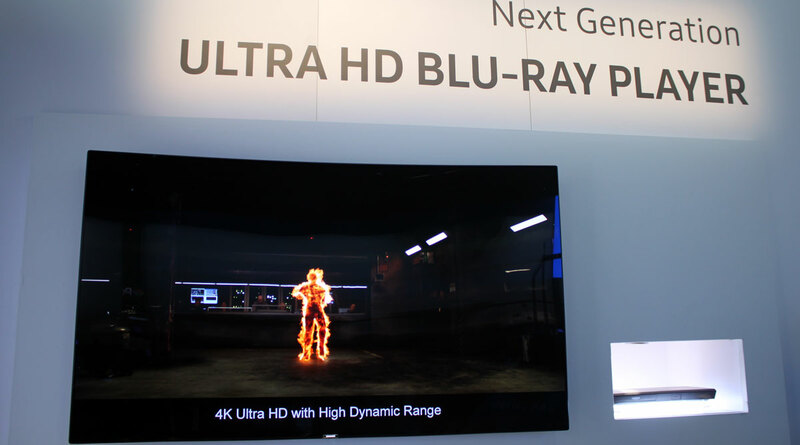 In 2016 it is UHD Blu-ray vs. streaming. At this point, HEVC is obviously old news. HEVC is the successor to MPEG4 and the compression format that enables 4K and HDR on discs as well as streaming. But here too is a format war brewing. Google is not eager to cough up to pay for HEVC royalties so it has created its own format in VP9, which is required for streaming YouTube in 4K. Later in 2016, Google will roll out VP9-Profile2, which is required for - yes, you guessed it - streaming YouTube in HDR. 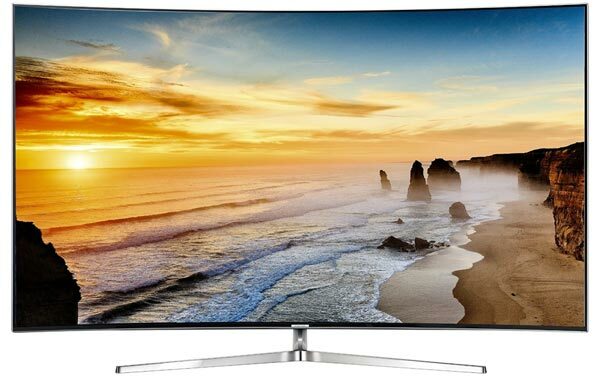 At CES 2016 Samsung confirmed that at least its flagship TVs will support VP9-Profile2. Another surprising twist is that Samsung will drop support for 3D. 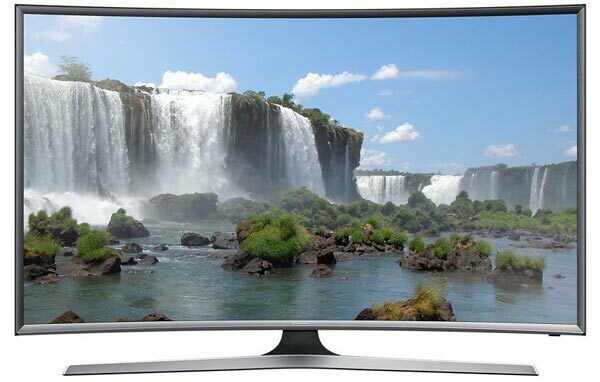 As FlatpanelsHD was first to report not a single TV from Samsung in 2016 will support 3D. Not even the most expensive TVs. 3D is dead to Samsung. Tizen will of course offer access to streaming services such as Netflix, Amazon, HBO etc. 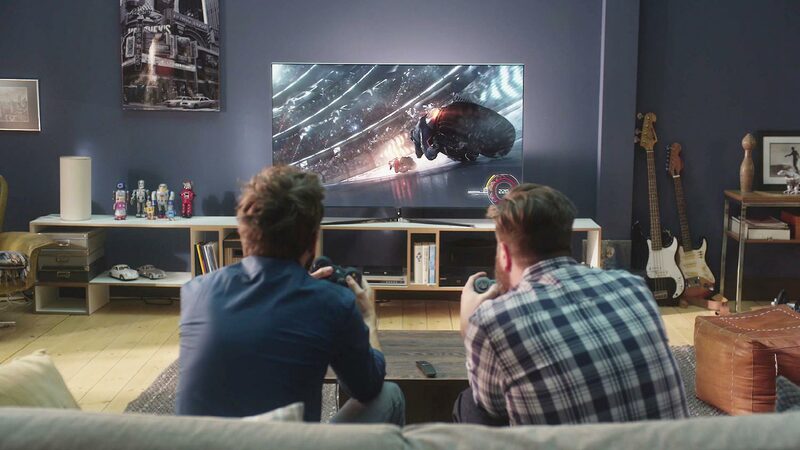 Samsung has redesigned the bottom menu in a clever way so that the TVs will be able to recommend content from Netflix, Amazon, and even streaming game services such as PlayStation Now directly in the bottom menu, meaning that you do not have to open each app to check for new and relevant content. It looks very promising indeed. While Samsung has surely worked with Netflix to make it possible to recommend Netflix series directly in the bottom menu, Netflix does not appear to be impressed. The streaming giant started recommending the best Smart TVs last year and snubbed Samsung. And again in 2016. Samsung TVs have not made it to Netflix’s list of the best Smart TVs of 2016. LG and Sony have. Maybe you care, maybe you don’t. Samsung has also made Tizen capable of controlling the smart home through the SmartThings platform that it acquired in 2014. You can connect everything from lamps to door cameras, and if you want you can also control smart home scenarios on your TV. One scenario could be a “cinema” bottom that automatically turns on your receiver and dims the lights. SUHD models come with the SmartThings hub integrated and for the rest of the TVs you can purchase it separately. Samsung has promised to bring some of the new Tizen features to last year’s 2015 TVs but has yet to detail what that means exactly. On the other hand, the company has decided not to release new Evolution Kit this year, meaning that owners of previous TVs cannot buy a kit to upgrade their TVs. We had a sneaking suspicion after Samsung "forgot" to release one of the new Evolution Kits last year. Is the Evolution Kit program over? Who knows. 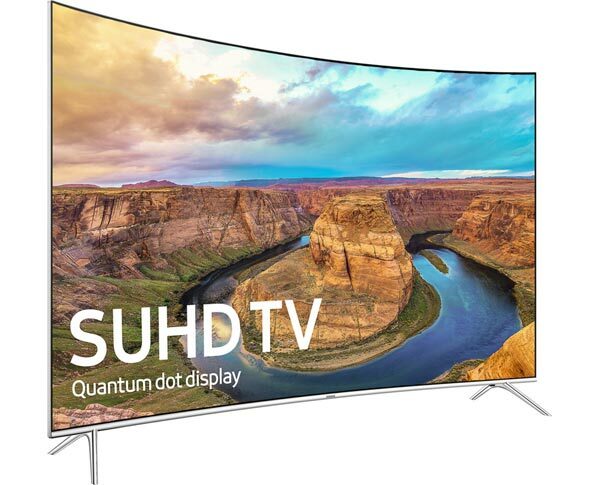 Samsung has not slammed the door but considering that the new SUHD models come equipped with only a One Connect box but no promises of "Evolution Kit Ready" we take that as a bad sign. And more importantly; the company has not kept the promise it made when it launched the Evolution Kit. Another new feature for 2016 is the Multi remote. Samsung has not detailed how exactly it works but the concept is clever. 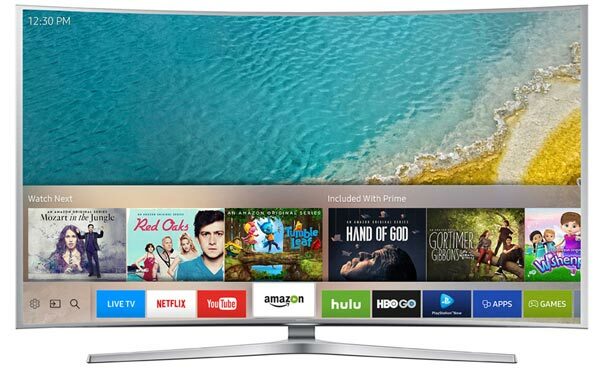 Samsung says that when you connect an external box - BD player, set-top box, game console, whatever - the remote will automatically determine which device it is and be able to control this device. It is a form of advanced universal remote that relies on an online database, which gets updated with new devices all the time, says Samsung. It sounds like a combination of HDMI CEC and infrared controls. We are excited to see how it works in practice. Samsung will continue to equip some of its European TVs with a twin-tuner for recording while watching another show. However, this year it will be reserved to only the most expensive SUHD models. Other features include voice control and multi-room link for connecting wireless speakers to the TV. Samsung has finally dropped its hilariously bad hand-waving gesture controls. Design is obviously also a major theme for Samsung in 2016. That is why the company has chosen to equip most models with edge LED despite the obvious picture-related drawbacks. Samsung says that its SUHD models have been designed based on a 360-degree principle, meaning that even the back looks good. One more thing before you start to explore the line-up. Samsung has a huge number of different TV and while it can be hard to grasp, think of it this way: All the 6 series TVs are more or less technical identical but just design variants with a few extra cow bells. The company will release TVs all the way up to 88 inches. Samsung’s 2016 TVs will be available starting in spring. More models will likely be added to the line-up in autumn 2016. 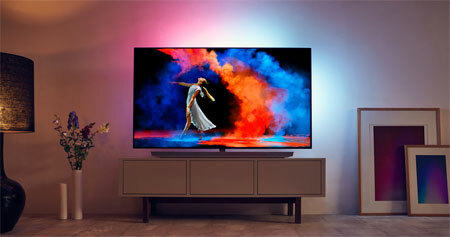 KS9800 is this year’s flagship TV in the US. 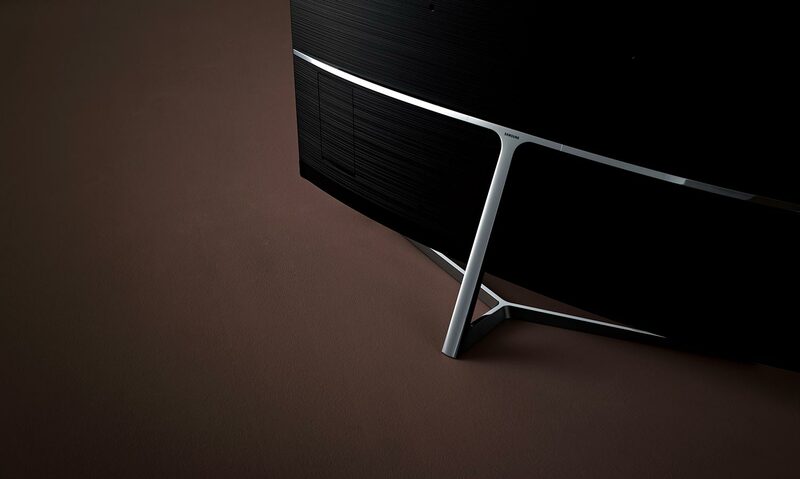 It a a curved TV and the only model with full-array local dimming destined for the US. 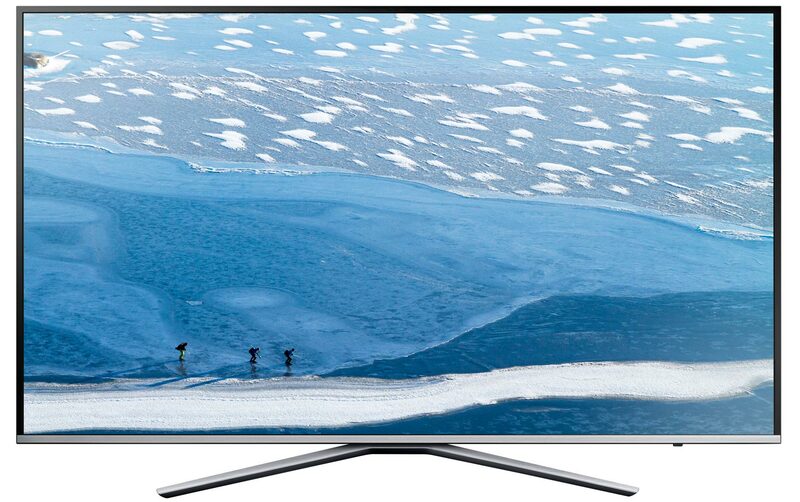 KS9500 is this year’s flagship TV in Europe. It is a full-array local dimming model. Confusingly, the same model in the USA is edge LED, so we have divided them into two. In Europe an 88” KS9800 will also be available. Technically it is a KS9500 – just larger and with a slightly different design. KS9500 in the US will be one of the flagship TVs but with edge LED. It is a curious decision by Samsung considering that it is the successor to last year’s JS9500, which was backlit. KS9000 will be available in both regions but it will be flat in the US and curved in Europe. It is an edge LED model with many of the same technical features as the more expensive TVs. However, the Peak Illuminator system is downgraded. KS8500 is exclusive for USA. It is a curved variant of the KS9000 with slightly less powerful speakers. It will be available in 55 and 65-inch sizes. With KS8000 we have a flat SUHD model. It will be available in the US and Europe. The design of the base looks different in Europe and the US. KS7500 will only be available in Europe. 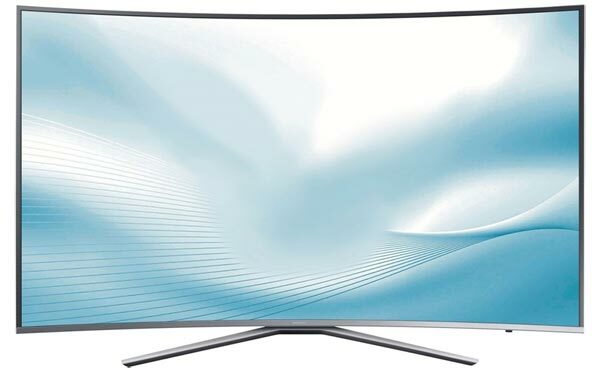 It is a curved TV and the main difference between KS9000 and KS7500 is that the latter has no twin-tuner and less powerful speakers. We are entering the 6 series. These are no longer branded “SUHD” but will still offer 4K resolution. Samsung also advertises HDR but be aware that none of the 6 series models have the hardware to reproduce HDR, hence “HDR processing”. They can receive the HDR material but not reproduce it. KU65 is another 6 series models. As said above, all 6 series TVs are more or less technical identical so look for differences in design and functionality. Yet another 6 series variant - this time with flat design. Being flat it will be cheaper than the curved variants. KU61 is a curved model and still a 6 series TV. It does not come with the multi remote and WiFi is slower. 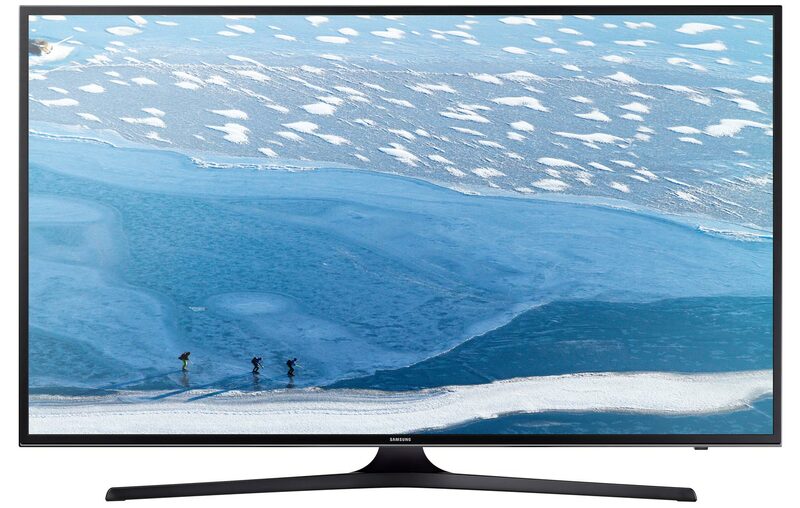 KU60 will be the cheapest 4K TV from Samsung in 2016. It is a flat model that will be available in up to 70”. Samsung will sell a single HD model in its 6 series. 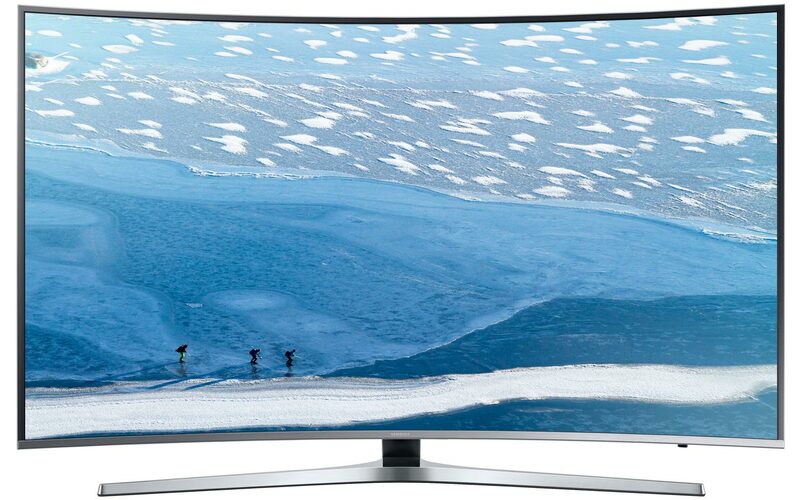 The K63 is a curved TV with Tizen. Lastly, we have the 5 series TVs. These are low-end models that will be available as discount TVs in warehouses. Depending on your region you will different variants of the K5xxx TVs.